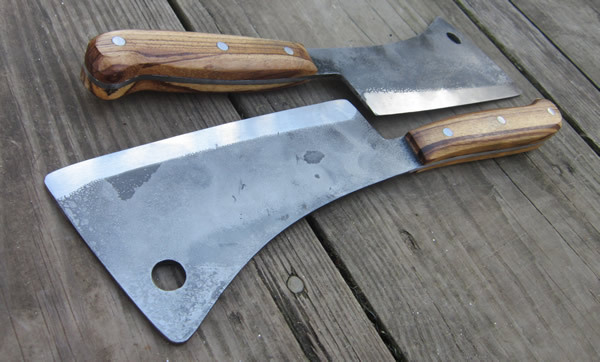 Same blade shape and size as our production Kuhkuri, but with slab tang and sharp edge. 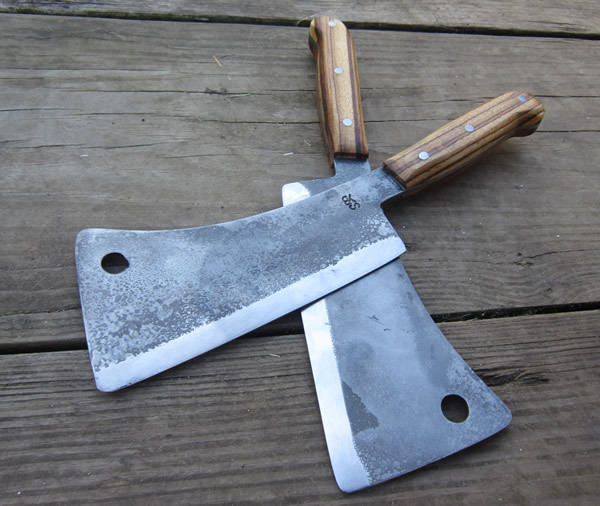 Seen here with Leopardwood handle. 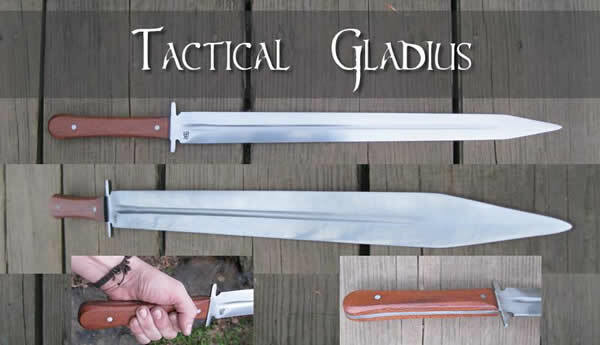 This is based off of our 24" Pompeii gladius pattern. Distal tapered and fullered ultra light blade. Our Tactical Yataghan is 27" overall. 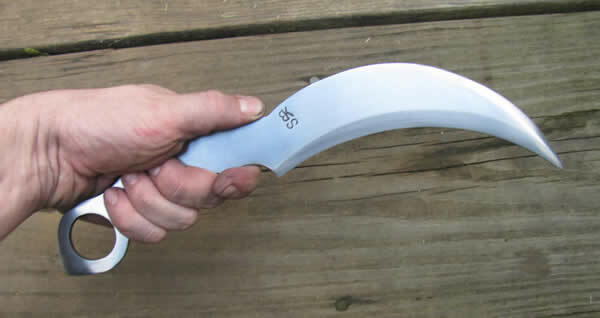 The blade is 20" from hilt to tip. Pictured here with a false edge and satin finish. 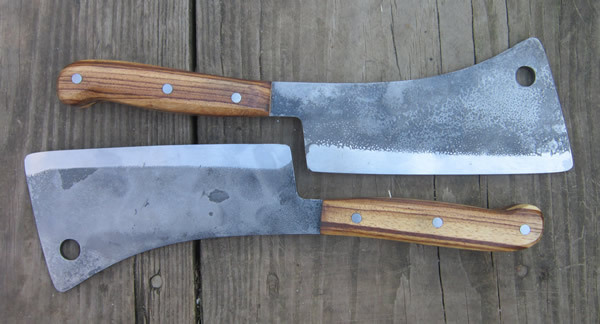 Seen here with scaled surface and zebrawood handle. Same price for satin polished blade. 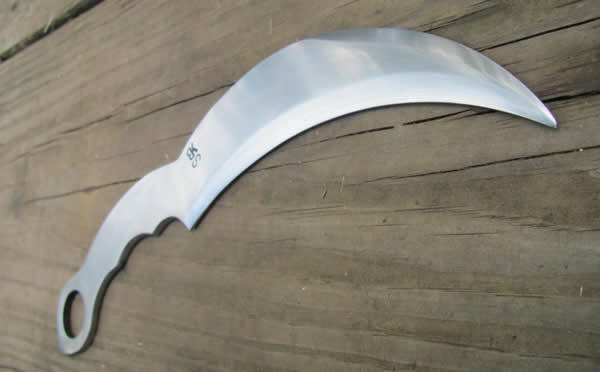 Perfect dagger for throwing or any other tactical use. Two examples of our Tac Ninjato. One is fullered with a traditional point. The other is not fullered with a tanto point. Both are pictured here with our standard leather wrap. Wood scale handles and cord wraps are available upgrades. You can also order any of our Tac weapons with no handle to do it yourself or leave bare. 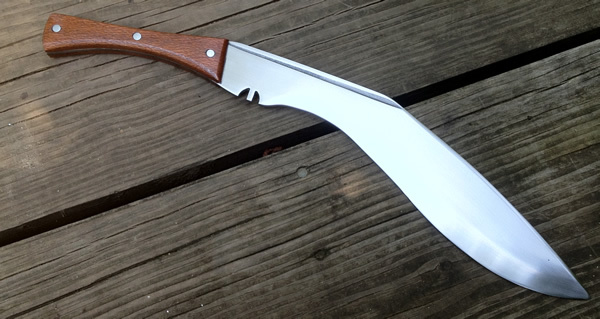 The blades come sharp as standard but can be blunted for stage use. Two examples of our Tac Tanto. Pictured here with our early Hemp cord wrapped handles. Wood scale handles and other cord wraps are available upgrades. Leather scabbards are now available for all tactical blades. Please visit the leather page for more info.